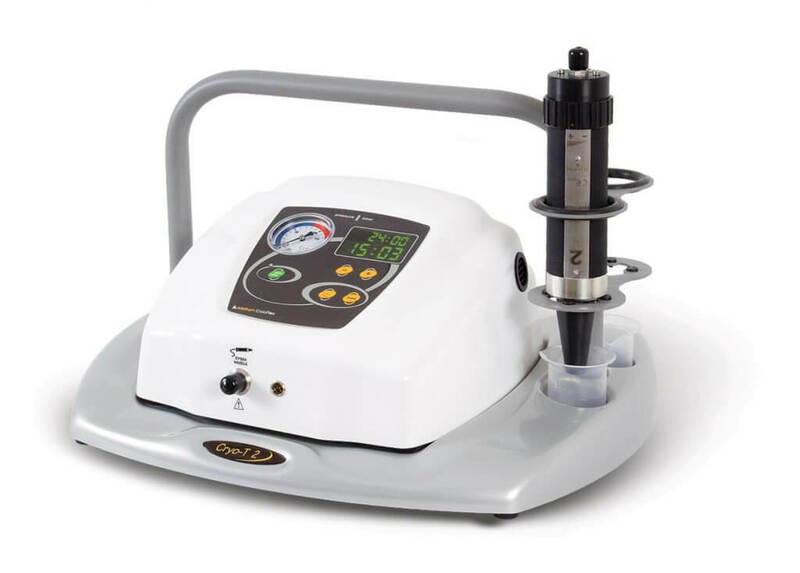 Cryo-T 2 devices is portabla, smaller version of Cryo-T Duo medical device. It has much simpler control system. Cryo-T 2 enables connection of only one nozzle. Portable device equipped with two nozzles in standard set. 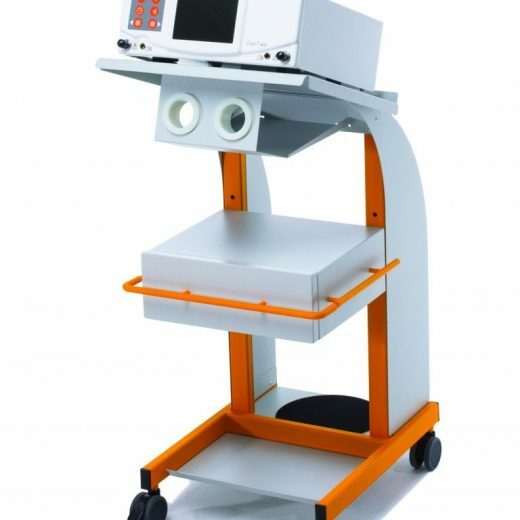 The device allows easy and safe administration of cooling medium – carbon dioxide (CO2 liquid phase). It does not require liquid nitrogen (LN2) and achieves temperatures of -75 °C. Contrary to other cooling media, carbon dioxide has twofold effect on human organism. Cold carbon dioxide acts on the organism already during the procedure, which ensures effective cool penetration into deeper tissues. Properties of corbon dioxide ensure safe application of the cryotherapy device on patients with cardiological problems. 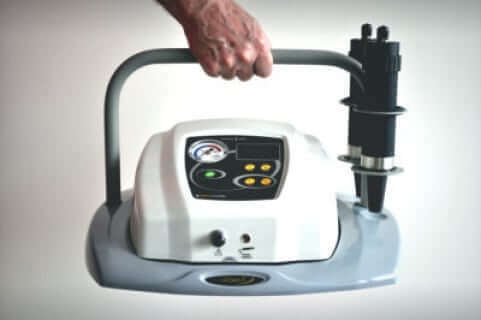 Cryo-T 2 permits non-invasive treatment of vein-nets (spider angioma). 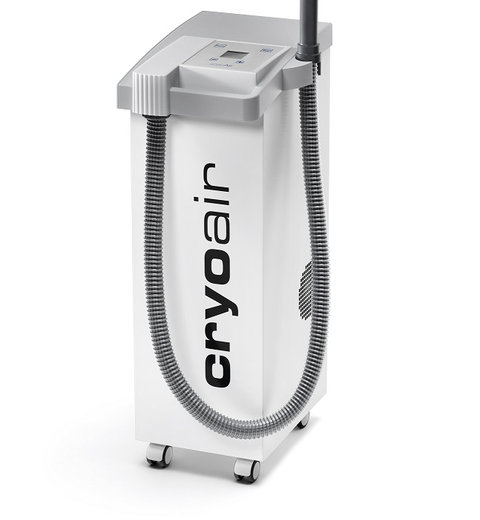 Carbon dioxide-based cryotherapy permits safe and precise direct gas application, which is achieved by moving apparatus nozzle set to the lowest possible temperature (-75°C) just above the skin. 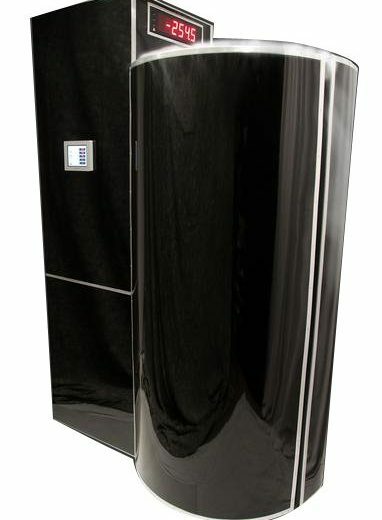 Cryotherapy device – CO2 system for local cryo stimulation. Speeding up wound healing and injury treatment processes, relieving thermal shock – alleviating post-burn conditions.